I have been growing succulents with a medium amount of success for the past few years. While medium success doesn’t sound that great, it is huge for me. I have the worst black thumb, so any plants that don’t die in the first two months count as wins for me. 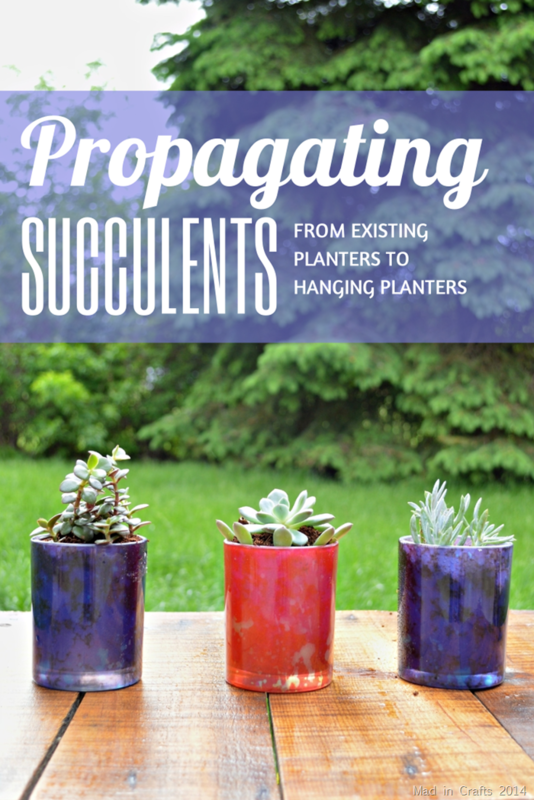 In order to keep my succulent plants in the win column, I have done a bit of research into proper care for succulents. 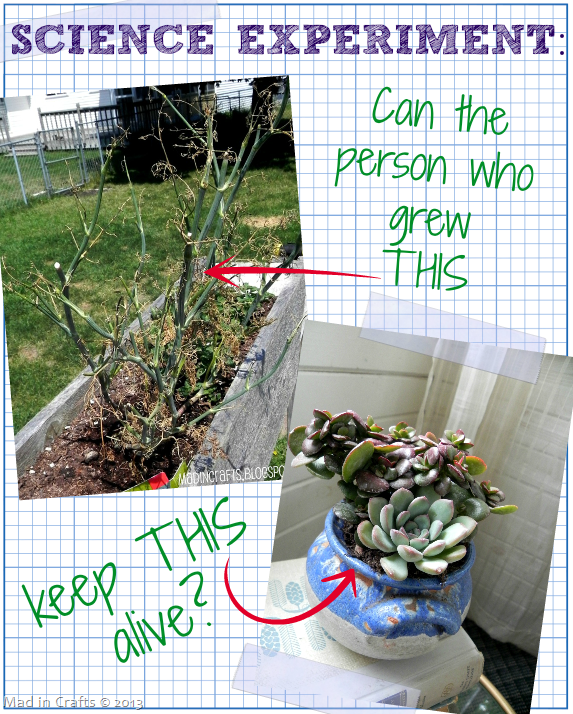 My reading has taught me that succulents grown in containers should be repotted every year or two for a few reasons. 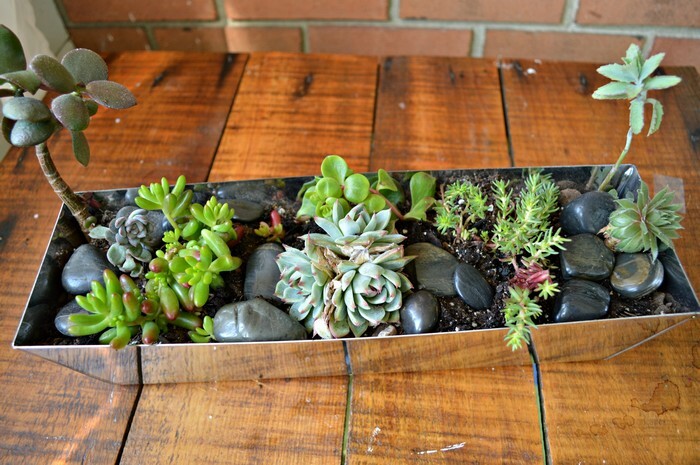 Succulents can outgrow their containers, and the roots sometimes outgrow them faster than the plants themselves. It’s also a good idea to provide the plants with new fertile soil in which to grow. I keep most of my succulents on our kitchen windowsill. 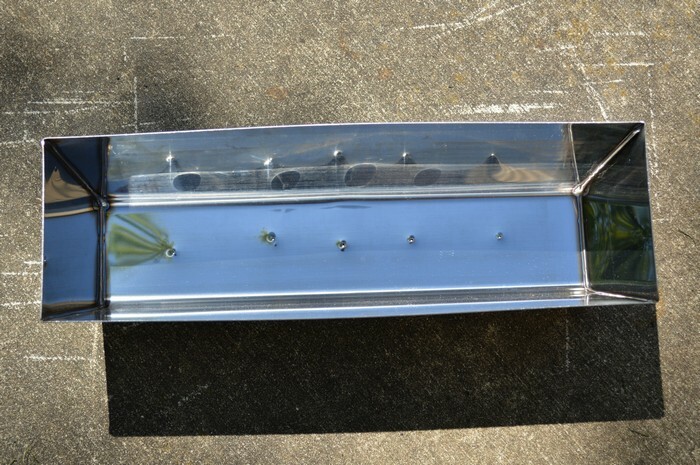 The window gets a good amount of sunlight, and the proximity to the sink makes watering easy. When I decided to repot the plants, I wanted to swap out my dozen tiny planters with one long one. After a ton of searching in stores and online, I finally found a long narrow planter that would fit on my windowsill, only it wasn’t a planter at all. This is actually a drywall pan. Like the kind you hold in one hand while you are applying drywall mud with the other. I found mine at the local hardware store for around $10, and look how pretty! 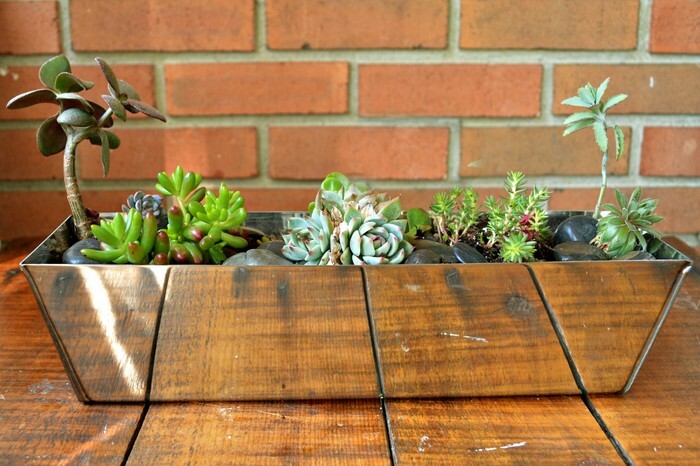 While the look of the planter is important, the most important part of a succulent planter is the drainage. About that…. I started by creating some drainage holes in the bottom of the planter. This… was not easy. The drywall pan is steel so, yeah, I should have known better. I hammered large screws into the bottom of the pan to create dents in the steel. Once the dents were pretty deep, I would take a 16 gauge nail and hammer it into the dent to create the actual hole. I missed the nails/screws several times and have a lovely blood blister on my thumb to prove it. I thought about trying to use my Dremel to drill small holes, but I didn’t want to wreck my drill bits. Good thing that planter is pretty because it was a pain. 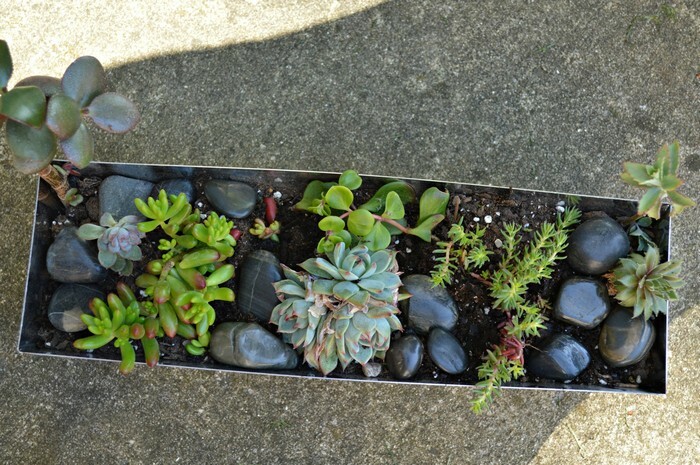 Once I had the holes in place, I added new soil specifically for cacti and succulents. This soil is mixture to allow plenty of drainage for the roots of the plants after watering. You don’t want to use a nutrient rich soil by itself because it will be too much for your succulents. If you use regular soil, be sure to cut it with plant grade sand or perlite. 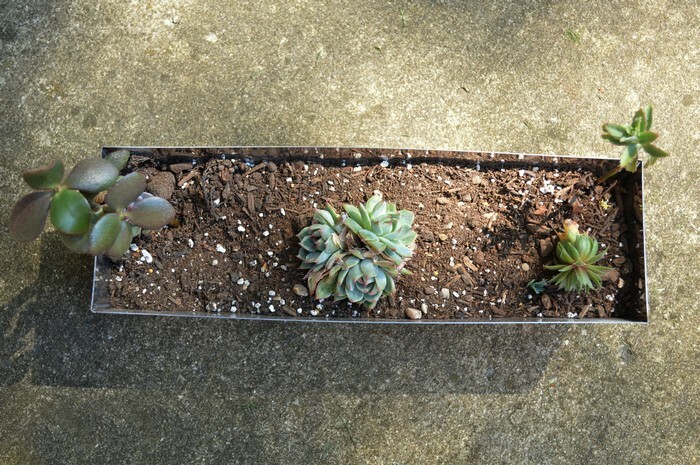 Next, I removed my succulents from their old containers, shook off the old dirt from the roots, and planted them in the new soil. I mixed some new succulents into the planter with the older plants. A few of the older plants needed a little support, so I added some river rocks on top of the soil for the plants to lean on. I am hoping both the new and old succulents flourish in the new container. 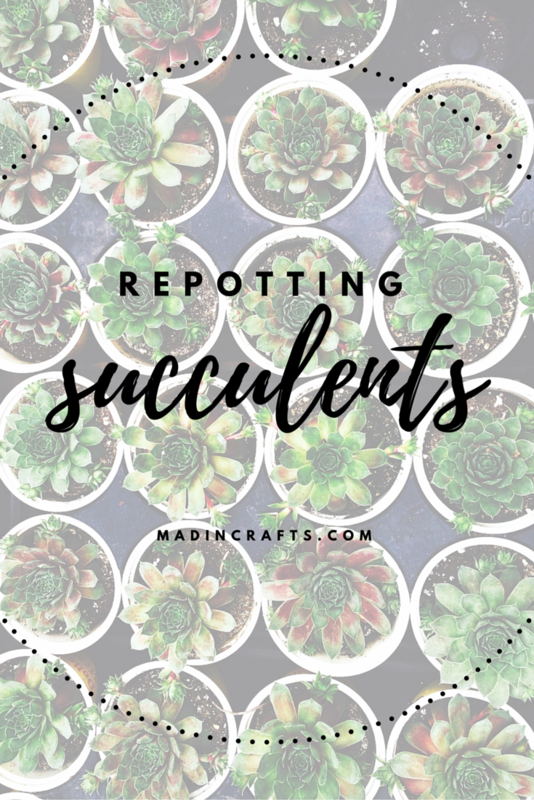 Have you ever repotted your succulents? Share your best tips in the comments below.